A recent study, “Annual Survey of India’s City Systems (ASICS) 2014: Shaping India’s Urban Agenda”, has found that Ahmedabad ranks No 10th in a group of 21 selected cities selected for survey ascertaining quality of life survey across India. Claiming to an “objective evaluation of city-systems", taking into account "complex, mostly invisible factors such as laws, policies, institutions, processes and accountability mechanisms that strongly influence quality of life in our cities”, the survey, carried out by a high-profile Bangalore-based NGO, Janaagraha, defines “quality of life” to mean “both quality of infrastructure and services, and quality of citizenship.” The only other city from Gujarat taken up for survey is Surat, which scores No 7 -- better than Ahmedabad. The survey – whose results were evaluated by a group of elite jury consisting of Arun Maira, a former Member of the Planning Commission; Adi Godrej, chairman of Godrej Group; Baijayant Panda, a Member of Parliament from Kendrapara constituency, Odisha; Ireena Vittal, former partner, McKinsey & Co and an urban expert; and Dr M Ramachandran, former chief secretary of the Government of Uttarakhand – surprisingly finds that Kolkata ranks No 1 in “quality of life”. Interestingly, other cities which rank better than Ahmedabad are Thiruvananthapuram, Bhopal, Patna, Delhi, Pune, Raipur, Surat, Pune and Mumbai, in that order. Details of separate categories of the survey suggest that Ahmedabad ranks No 13 out of 21 cities in the “urban planning and design” category, with Delhi found to be No 1 city on this score. 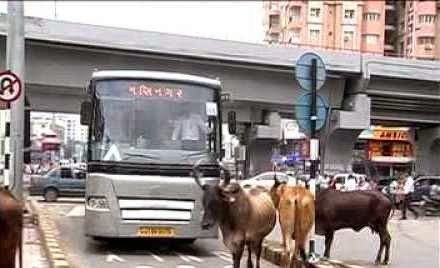 In the category “urban capacities and resources”, Ahmedabad ranks No 5, with Delhi, again, ranking No 1. 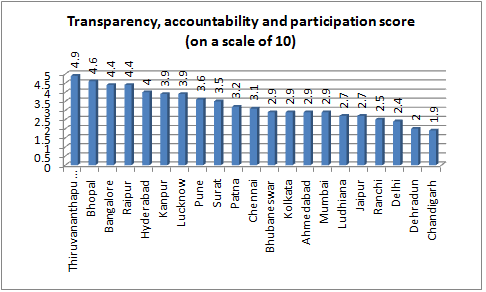 In the category “empowered and legitimate political representation”, Ahmedabad ranks No 8, with Kolkata being No 1. In each of these three categories, the other city of Gujarat for which the survey has been carried out, Surat, ranks almost equal to Ahmedabad -- No 13, No 7, and No 8, respectively.